Last night we walked away with two PRMoment awards for Best Small Agency of the Year and Media Relations Campaign of the Year. Competing against over 600 entries, we were shortlisted for nine awards for our work on smash hit Kickstarter M3D and the Bathrooms.com ‘BathroomSweets’ campaign, as well as for best agency categories. It’s a great achievement to be awarded for our work in both the media relations category as well as consultancy, proving our creativity and expertise to deliver truly global campaigns. Dynamo helped M3D raise more than $3.2 million on Kickstarter last year, allowing 3D printer The Micro to go into production. By pre-briefing journalists with their very own Micro 3D print, coverage secured on the day of the Kickstarter launch included Mail Online, Engadget, Mashable, and TechCrunch, just to name a few. 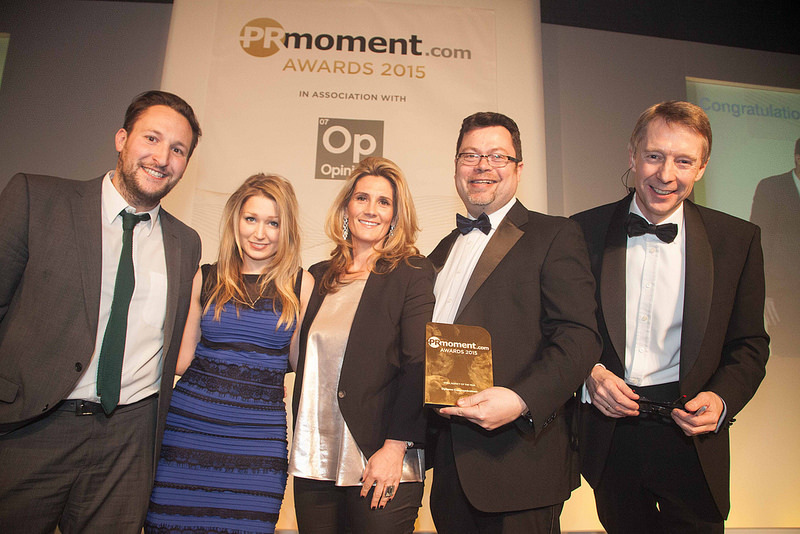 This latest award represents the second year running Dynamo has picked up honours at the PRMoment awards, previously the Golden Hedgehogs – last year winning Consumer PR Campaign of the Year for Making 3Doodler TIME Magazine’s invention of 2013. Finally, a special shout out to #TheDress (our Mobile team moved fast to get hold of it last week, for Mail Online). Having worn it last night to attend the awards, we can confirm that the black and blue vs white and gold debate is still very much alive!